Coming to you live, on April 20th, catch your favorite Green Greeks for a Pizza Extravaganza you won’t want to miss! Catch us on the 17th Ave Median between Beta Theta Pi and Alpha Epsilon Phi. Not only do you get the chance to help your very own community improve our sustainability, but there is plenty of opportunities to enjoy yourself in the process. We’ll be serving up pizzas from 12pm to 4pm, $2 a slice and $3 for two slices. Pizza options include Cheese, Pepperoni, and Hawaiian. Plus, no extravaganza would be complete without activities. We’ll have a water pong trivia game where you test your knowledge on sustainability and learn some cool information in the process. Additionally, you’ll find the classic corn-hole game that no outdoor event is complete without, and you can toss a frisbee into a compost bin and see how easy it is to compost in your everyday life. If simply playing games isn’t enough for you, winners get a BOGO free pizza card, courtesy of Pagliacci Pizza! After playing games all afternoon and learning about ways you can help our Greek community become more sustainable and eco-friendly, we’ll have the opportunity for you to take the Green Pledge and become a part of our cause. Your pledge will become a part of our photo booth background where there will be plenty of props for you and your friends to pose with! Post your pictures on social media and use the tag #UWGreenGreeks to help spread the word. The best way to help your community is to get involved, so make your 4/20 productive and join us for pizza and a good time, we can’t wait to see everyone there! One of the projects in the Green Greek organization is the Plant the Seed group. Their long term goal is to institutionalize sustainability within the Greek Community. 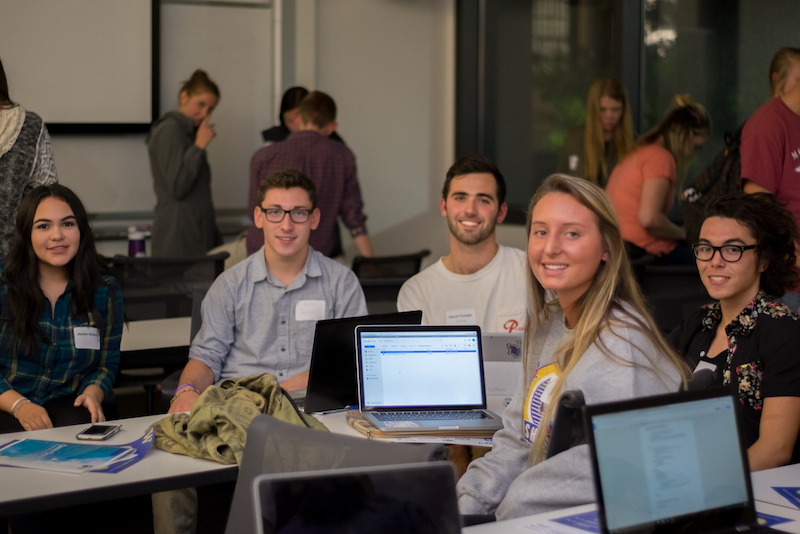 The current priority is connecting with the governing bodies of the UW Greek Community, the Interfraternity Council (IFC) and Panhellenic to establish a sustainability-focused position on their Executive Councils. Along with that, they want to encourage IFC and Panhellenic to mandate a Green or Sustainability position in every chapter. Xavar, one of the enigmatic members of the Plant the Seed group, explained that the current objective of the group is to contact the Executive Councils from each Fraternity and Sorority to petition for a Green Chair in each chapter. Xavar has already spoken to his own president about creating a Green chair and has been told that next year on the ballot, the position will be available to run for. The importance of a Green chair would be able to bring forth change from within the chapter and keep the conversation of sustainability relevant. However, a further advantage of a Green Chair would be saving money through resource efficient retroactive fittings. Over the past year, Greek chapters nationally have begun to implement Green chairs in their houses, which is the first step to truly becoming a Green Greek. So, lets Plant the Seed and bring forth an era of Green Greeks! Two sustainability-focused groups at the University of Washington, UW-Solar and the Green Greek Representative Program, are collaborating on a project that has sunny prospects and dazzling potential. Essentially, the two groups will be working together to determine the potential for solar power in the UW Greek Community. UW-Solar brings students and faculty together to carry out solar energy projects. The project tasks range from planning, governance, finance, design, development, economic, and environmental effects of infrastructure. These mid-to-short term solar power projects are small steps towards the long-run objectives of decarbonization, resilience, and information security. Desiring to achieve similar goals, the Green Greek Representative Group works to make the Greek community a more sustainable place. So far, the Greek community has taken action to educate chapter members about recycling/composting, lighting efficiency, water conservation, and other general sustainability education topics. After focusing on many quick-fix problems, the Green Greek Representatives are now turning their attention to long-term projects. Pictured: UW-Solar student helping the GGR Program initiate the project. The U-District, where the UW Greek Community resides, is powered by Seattle City Light. As of 2014, Seattle City Light already had a highly renewable fuel mix, including Hydro (90%), Nuclear (4%), and Wind (4%). Less than two percent of energy comes from coal and other fossil fuel sources. Yet many energy customers are still pursuing solar energy too close this small gap, as well as additional benefits like paying less for energy in the long-run or getting paid for your electricity. Through the summer, the Green Greek Representative Group is working to collect data from all 54 chapter houses, including roof plans, electricity information, and the age of the roofs. Come fall, UW-Solar will use this data, and the continued help and support from the Green Greeks, to conduct feasibility studies that answer questions such as: Is solar even feasible on chapter house roofs? Is it cost-competitive with what chapters are currently paying in energy costs? What will the return on investment be? 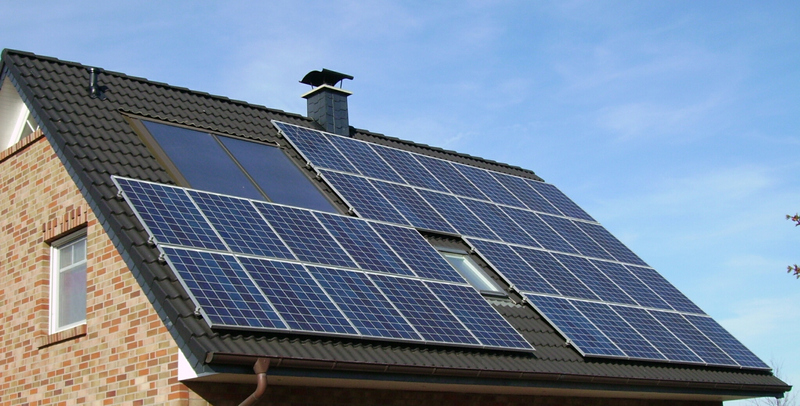 Will solar power reduce greenhouse gas emissions, and if so, by how much? What would be the best system given project type/location? What are the funding possibilities? How will energy be monitored to quantify the success of results? Depending on the outcome of the feasibility reports, the Green Greek Representative Group and UW-Solar will then work to determine the next steps. Regardless of whether solar power turns out to be feasible or not, this opportunity is a chance for collaboration, education, and dawning discovery. 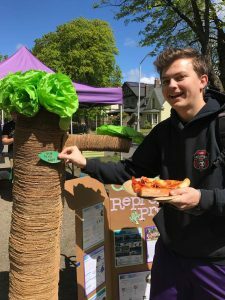 Originally published on the UW Campus Sustainability Blog. Collaborative efforts like these hold the key to sustainability success in the future. Other Greek Chapters Nationwide: The GGRP wants to extend our reach and expand our collaboration efforts with other Greek Communities around the nation. Currently, the UW Green Greek Program would is interested in Cornell’s LEAF rating system, the University of Arizona’s “Zero-net-waste” philanthropy events, and Indiana University’s Spring Energy Challenge.Collaboration is a two-way street, already students at Washington State University and Syracuse University have contacted the GRRP to learn about potential program possibilities for their own Greek Communities. UW-Solar: UW-Solar, a group that works on solar energy projects, is working with the GGRP to calculate the solar potential for chapters. Learn more here! 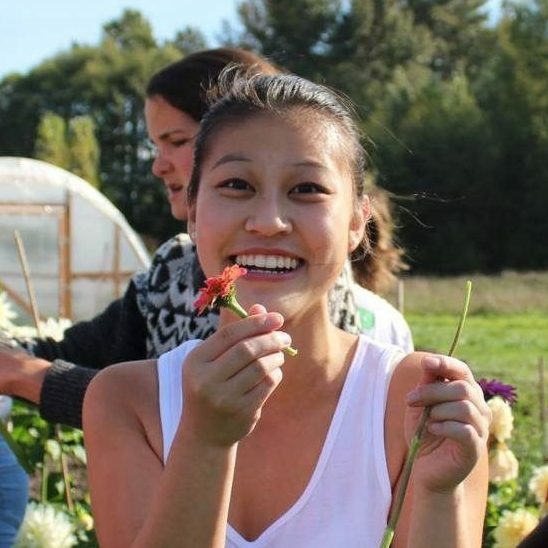 The UW Farm: The UW Green Greek Representative Group hopes to participate in future collaboration projects with the UW Farm, whose mission is to be the campus center for the practice and study of urban agriculture and sustainability. Although that idea has yet to come to fruition, reaching out has already culminated in one chapter, Sigma Kappa, successfully servicing the “Farm-To-Table” dinner. Mercedes Stroeve, Seattle Public Utilities: A UW senior used the GGRP to gather data for her research for Seattle Public Utilities on creating an outreach strategy that encourages tenants to fully transition to composting and other best waste practices. 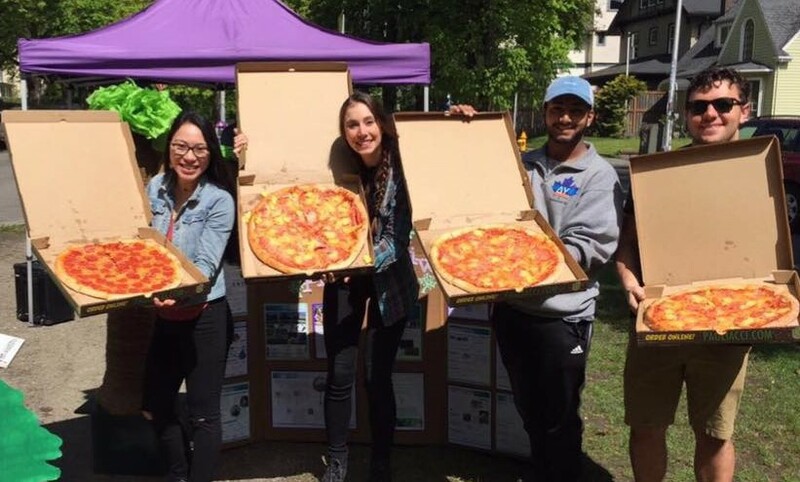 UW Biodiesel Cooperative: The UW Biodiesel Cooperative, a group repurposing leftover cooking oil into an alternative fuel supply, is setting up a collection system to use the Greek Community’s leftover oil.